I was told that the story of my life makes for good movie material. So here is my personal story. Judge for yourself whether it will pass the silver screen. I was born in Bayawan City, Negros Oriental but grew up in Cebu City. In 1996, I was managing a boutique when I met my future Korean husband. After four years, we got married and were blessed with a son. In 2003, I decided to bring my son to South Korea to provide him with a better education and to be rooted to his Korean heritage. I left my husband in the Philippines believing that he will fulfill his promise to follow us. I lived with my mother-in-law in Juan-dong, Nam-gu District, Incheon City. Strangely though, my husband continued to stay in the Philippines. He never contacted me and I totally lost communication with him for a very long time. But instead of turning hopeless, depressed and abandoned, I decided to make the best of my stay in Korea. At the start, I had very little knowledge of the Korean language. Language barriers cause a lot of misunderstandings. 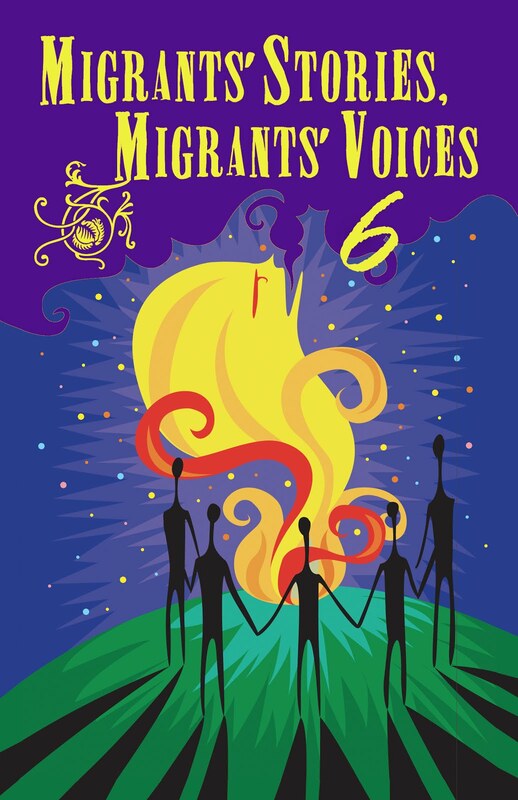 Among my painful memories stemmed from miscommunication problems with Koreans and fellow immigrants. I soon realized the importance of mastering the language to be able to communicate properly so I resolved to devote myself to learning it. I had to fight homesickness too, and it was not easy living with my mother-in-law. A few years back, it was rare to see foreigners in Korea. People would look at me whenever I walked around the neighborhood. I would hear the same stories of hardship from other foreigners I met. While Filipinos and South Koreans share many cultural similarities, there are many differences as well. Part of my early struggle was providing for the family. After I got my spouse visa, I worked in an assembly group for a motor brake shoe factory. It was a dangerous job which entailed piling up seven to eight kilos of steel. After six to eight hours of this back-breaking job, only your eyes could be seen because dust would have covered all of your body. There were days when I would really cry wanting to give up such hard labor that was both physically and emotionally draining. Despite the hardships, working in a factory provided me the experience of learning from different cultures. I was exposed to the attitudes of Koreans and other nationalities as well. My Korean workmates would frown at me if I cannot communicate with them properly. During winter, the working conditions can be challenging. Working hours were longer and I would endure occasional hunger pangs since I avoided eating outside to be able to save money. My next job was at a cellphone assembly plant which employed twenty-three Filipinos. Although factory work was not easy, I managed to excel and got noticed in my work. In just one year, I got promoted as a team leader. To my surprise, however, my good performance earned the ire of my co-workers but this situation did not deter me from continuing to do my best. One good trait among Koreans is their penchant for providing opportunities to maximize your potentials once they discover them. The president of the factory told my manager to have me trained in the Korean language. I made sample products of the company that were sent to clients and he wanted me to be more familiar with the machines. Having learned the language, I also became the mouthpiece of Filipino workers in the company. Unfortunately, because of the economic crisis in 2006, the factory suffered and I resigned in October of that year. Since my mother-in-law would take care of my son, I would dutifully give all my salary to her. One day, however, I discovered that my husband was having an affair with a Filipina and had gotten her pregnant. From then on, I worked nonstop and focused on my personal development. I devoted my time to my son and to volunteer work. I worked as a marriage counselor at the Women’s Human Rights Commission of Korea. While our training provided us skills to address victims of domestic violence, the calls we received ranged from the most trivial concerns to sensitive issues such as working conditions, marital problems, and extra-marital affairs. In 2010, the Philippine Embassy in Korea held a Philippine Independence Day celebration in Incheon. I was asked to be one of the emcees during the event since I am a resident of the city. I was introduced to the Human Resources Development (HRD) Service of Korea since they had just opened a training program for Employment Permit System (EPS) workers. I then started working as a translator for HRD Incheon every Sunday and I have been doing this for the last five years. I also hold lectures for workers under the EPS. My stint at HRD Korea in Incheon have brought me closer to Filipinos, who would tell me their problems and stories. I have since gained a wide experience working in public offices and in various fields. As an English teacher, for example, I was able to help fellow Filipinos in language interpretation. My exposure helped boost my self-confidence and contributed to my personal growth. I am grateful for all those trainings, workshops, meetings and other educational opportunities where I got to learn new things. I continued to take on new challenges in life. My insatiable curiosity led me to the DJ booth of the Multicultural Family Music Broadcasting operated by Woongjin Foundation and Digital Skynet. It was something I had wanted to do, to be able to narrate my life and work experiences in Korea which could be of help to my fellow Filipinos. In 2011, I guested in a radio program which was then hosted by DJ Regina, a Filipina student on scholarship at Ewha University. The director who happened to listen to the program gave his card and encouraged me to apply for a part-time job in case of a vacancy. I never really took it seriously since I did not have any background in broadcasting. When there was a job opening, however, I tried my luck though I lacked the qualification for it. I was also competing with other younger Filipino scholars studying in Seoul. Fortunately, they called back and I got the job. I had to undergo training for three weeks before I finally went on air last March 18, 2013. Since I came from the Visayas, I was so anxious about my Bisayang Tagalog accent. I would feel nervous whenever I did my recording. As I continued doing several segments, however, I became less conscious of my accent and more focused on the benefits that I can give my listeners. I prepare all my materials – from punchlines, audiences’ stories, and music selection. Even my minutes spent commuting are used to research on news to be shared to my listeners. I take no breaks even on Christmas Eve I would be recording my program while playing Christmas songs. My radio program does not only entertain my fellow Pinoys, I also do marriage counseling. The multicultural radio program aims to ease the loneliness of Filipinos in South Korea and to improve their quality of life. The radio program also provides information for Filipinos who want to come to Korea. It is also helpful to those who are working far away from the places where Filipinos would normally gather on a Sunday. In a way, I am instrumental in relieving them of their homesickness. Aside from speaking in Filipino, I also play Pinoy music and original compositions of OFWs or their cover of famous songs. They can send their song as an MP3 through our e-mail: pinoybroadcast99@gmail.com. In May 2013, my husband came back to Korea to ask for a divorce. Less than a month after the divorce papers came out, my ex-husband officially registered his new marriage with his new Filipina wife. After all the years of financially supporting my mother-in-law here in Korea, I was relieved to have a new status in life. I embraced it gladly without any animosity in my heart. I had moved on even in the literal sense. Since May 2014, I now live separately from my in-law although my residence is quite near her house. I have not told my son that I am divorced from his dad. It is one of my burdens in life. I do not want my son to know about it, so he will not be stressed with his studies or be bullied in school. I am considering going through a counseling session when I finally decide to tell the truth. My greatest dream is to be able to provide what my son desires. I believe that doing what is best for your child will always lead you to the right direction in life. With my accomplishments in life I am confident that I have, at least, secured the future of my son. With regard to my personal happiness, I do regret the mistakes that I made; but, I do not want to dwell on how unlucky I am in love. I spend my time productively on many other things. I am happy with my work now and have left a former job that pays well. I chose to concentrate on social work. 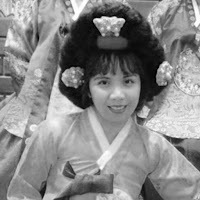 It is my desire to fully appreciate Korean culture and I want to share my knowledge to other Filipinos here in Korea. My days are now filled with my job and volunteer work. My main advocacy is on issues affecting migrant workers especially their marital concerns. I see to it that I am available and accessible to them. I can easily empathize with their stories. I may be terse with words or lack the eloquence of politicians but I definitely have the heart of a marriage counselor. I do not consider myself superior to my listeners but I journey with them; and this sincerity endears me to them. My advice to everyone is that you should use your hardships as opportunities and not give up even if things get really rough and tough. Never forget the struggles and difficulties that you went through before landing that nice job. Remain always true to your ideals. Have faith in God and always be thankful for His gifts and blessings. 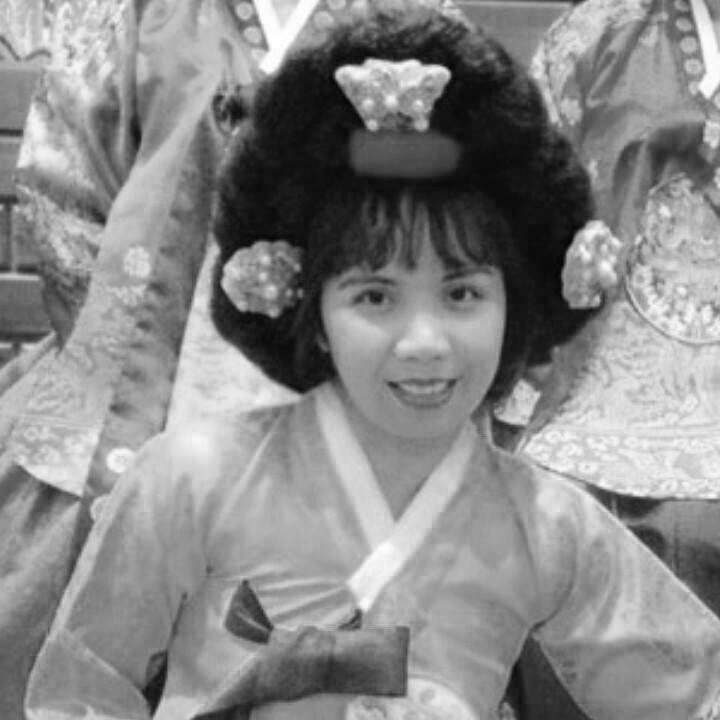 Gennie V. Kim, radio broadcaster, South Korea. She left her husband who preferred to stay in the Philippines and brought her son to South Korea where they are now settled. 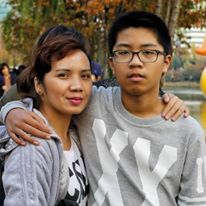 As a marriage migrant, she went through the hardships of working in a factory, volunteering, counseling and now doing her passion of being of help to others as a self-made radio broadcaster. Through her radio program she provides information and Filipino music to ease homesickness among OFWs and Filipino migrant wives and also to those wanting to go to South Korea. Also, she help facilitates social welfare assistance to Filipinos living in Korea.